Wow! This is such a powerful image of a big problem that we face in the world, especially in the global inter-connected world that we live in. This is exemplified during any terrorist attack or natural disaster, in which many of us think we are helping by simply posting about such events on social media. While it is good to express our well-wishes and prayers to the victims of these events, we should not just stop short there and think that in any way we have done our part in helping those in need. We all have a part to play in providing real concrete help to not only those around us, but to the entire world at large. With the click of a button we can donate money or resources to almost anywhere in the world, so we should always ask ourselves if we are actually using the current technology at our fingertips properly in helping others. This image and quote illustrate this perfectly. We should not act like we are helping if we indeed aren't helping out, and that is what this quote is trying to show. 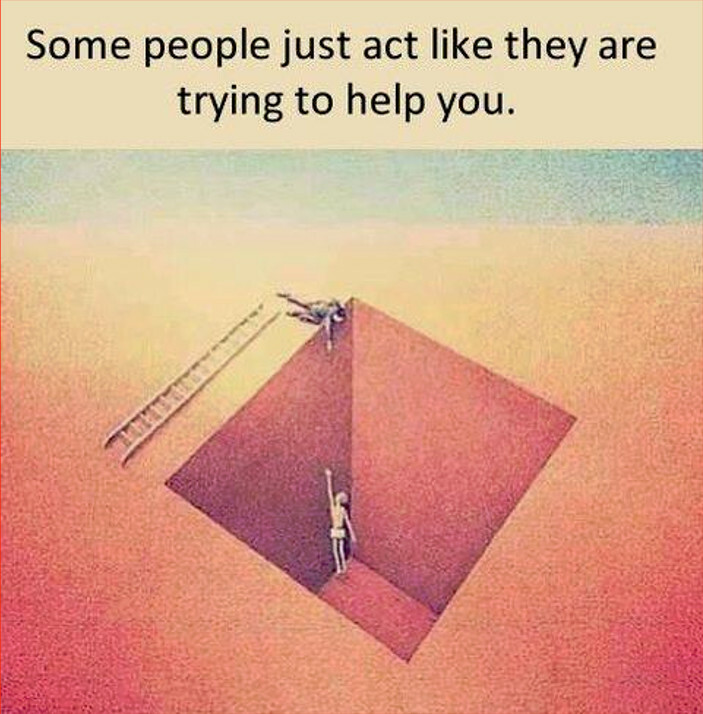 Thus don't act like you are trying to help anyone, but rather actually use what is available to you to help out those in need!